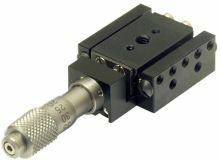 9S35 has a Ø6x6 mm mounting barrel. 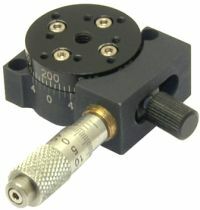 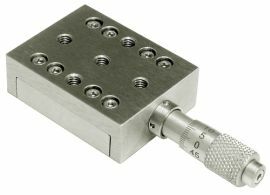 9S35M series micrometer is designed to be mounted using the M6x0.5 thread. 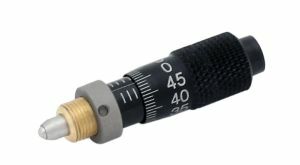 Final position of the micrometer can be set by fastening the included fixing nut. 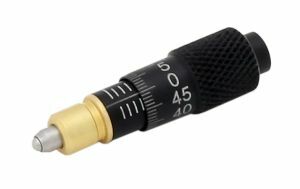 9S35(M)-5 with "-BL" have the same specifications as 9S35(M)-5, the only difference is that the body of the micrometer with "-BL" is made of black anodized aluminium. 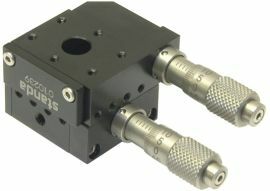 with Micrometer Screws 9S35M-5 installed.